This essential guide brings supply chain theory to life. 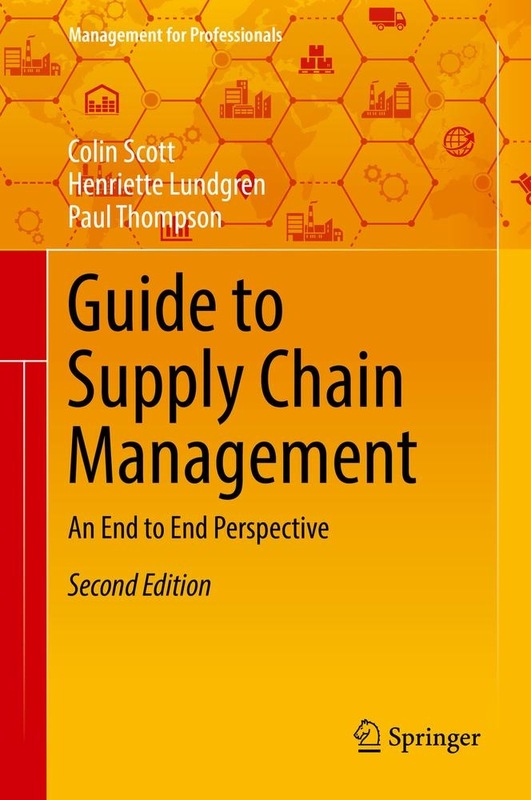 Intended for readers with a business interest in supply chain management, the book covers the key topics in eleven chapters, including planning, sourcing, making, delivering and returning, as well as strategy, people, finance, customer service and outsourcing. Each chapter starts with a brief summary and learning objectives that guide the reader through the text. This second edition also explores digital, sustainability and innovation impacts on today’s global supply chains. The book is written in a clear and simple way, featuring a variety of figures, tables and recommendations for further reading. The respective chapters conclude with real-life case studies from different companies, illustrating best practices. In the course of their work, the authors have met professionals all over the world who are passionate about their business achievements. By including their vivid examples, the guide brings theory to life, enabling readers to understand and embrace the concepts and ideas presented. Colin Scott, Henriette Lundgren and Paul Thompson are experts in supply chain management and have worked with practitioners in businesses across the globe. Endorsement: This guide is a really useful reminder of what good practice is and how it should be applied within supply chain management. The book is relevant for students of supply chain management and professional practitioners alike. This book offers an invaluable guide to understanding the specific dynamics of your supply chain and the fundamentals underpinning it. It provides the framework for delivering a supply chain strategy based upon recognised best practice. Martin McCourt, CEO, Dyson Limited . 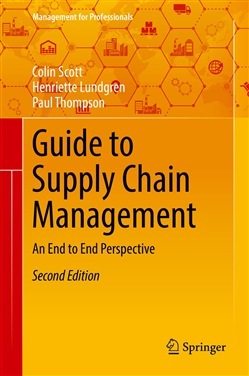 Acquista Guide to Supply Chain Management in Epub: dopo aver letto l’ebook Guide to Supply Chain Management di Paul Thompson, Colin Scott, Henriette Lundgren ti invitiamo a lasciarci una Recensione qui sotto: sarà utile agli utenti che non abbiano ancora letto questo libro e che vogliano avere delle opinioni altrui. L’opinione su di un libro è molto soggettiva e per questo leggere eventuali recensioni negative non ci dovrà frenare dall’acquisto, anzi dovrà spingerci ad acquistare il libro in fretta per poter dire la nostra ed eventualmente smentire quanto commentato da altri, contribuendo ad arricchire più possibile i commenti e dare sempre più spunti di confronto al pubblico online.